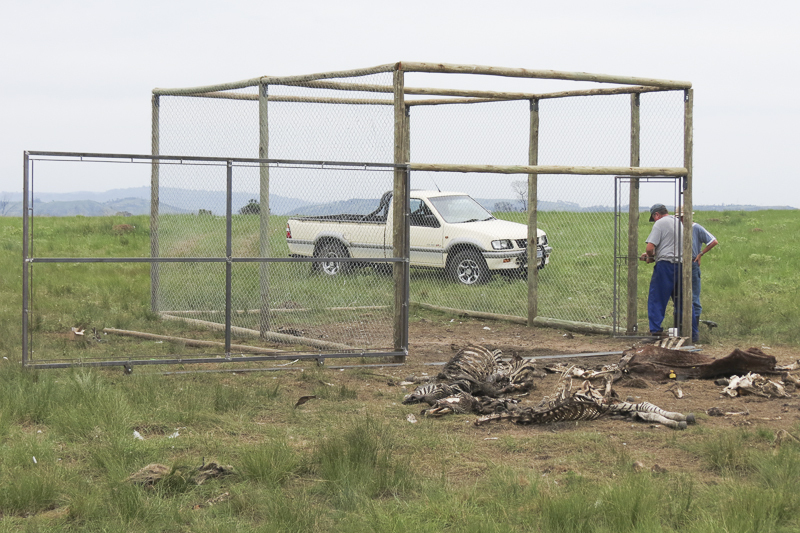 Mike Neethling and his team built up this huge walk-in-trap to capture birds for banding. Foto: M. Neethling. ... in Cape vulture is immense. ... at a foto shooting after a successful day of field work. ... sitting at the cliffs of a vulture restaurant, Giant`s Castle. Foto: S.Rösner. ... allows to follow the movements of tagged birds in time and space. 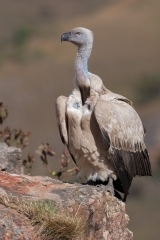 we welcome you on the webpage of our conservation project about the endangered Cape Vulture (Gyps coprotheres). The Cape Vulture occurs exclusively in Southern Africa, and only ca. 3400 breeding pairs are left worldwide. Due to an ongoing population decline, the species is vulnerable to extinction. The aim of our project is to increase our understanding of the biology and management needs of the Cape Vulture. Learn more about this fascinating species, the latest news and the team behind the project on the following pages.